We're going back to the Red Lodge Creek Plateau in 2019! This time we're working on the western side of the plateau as the Senia Creek trail starts dropping down to Crow Lake. Join the ABWF on this 5-day, four-night work trip high up on the glorious Red Lodge Creek Plateau! While the hike into and out of camp is fairly steep, the work on this trip is actually more moderate in nature. We will install water bars and checks, grade, and brush towards Crow Lake. We will pass off all of our heavy gear to the Beartooth Backcountry Horsemen, so volunteers will only need to carry a daypack. As always, we provide fantastic meals! Note: this campsite is NOT the same site as we camped in on the previous trips up Senia Creek. The elevation where we'll be working is around 9000, near treeline, so altitude is a factor. 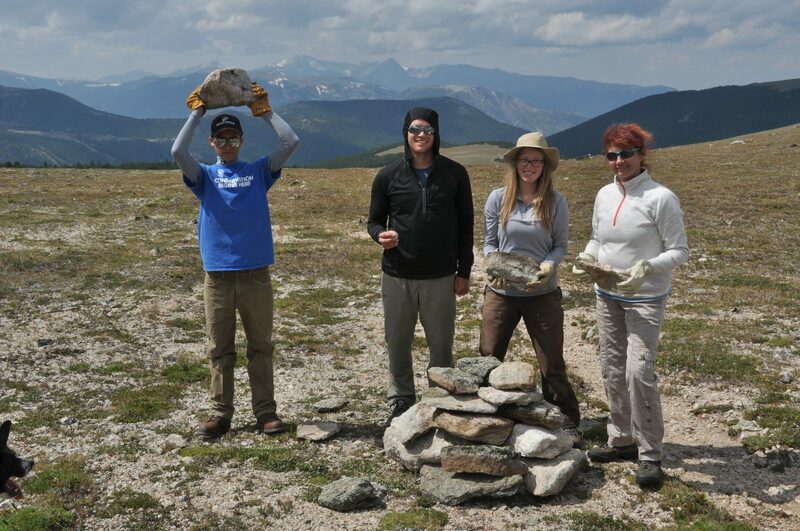 You are about to sign up for Red Lodge Creek Plateau Trail Enhancement 2019. If you want to sign up for another project, please choose your desired project from the overview.